RCom shares jump 10% in intraday trade on Tuesday after Mukesh Ambani bails out brother Anil on Ericsson dues. 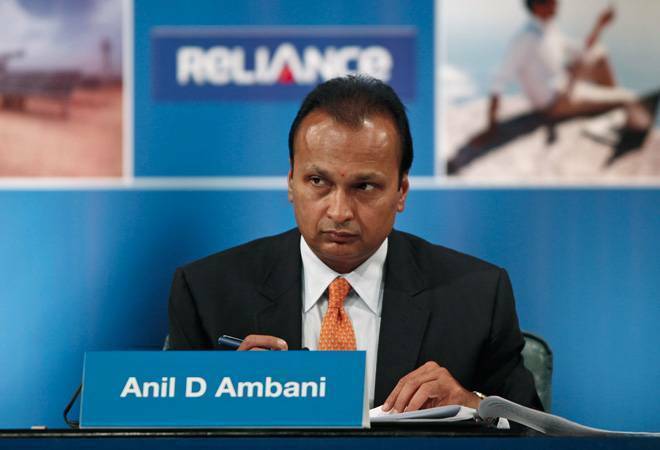 Shares of Reliance Communications rallied 10 per cent in the early day trade after Anil Ambani-led company announced that it had paid Rs 550 crore plus interest to Swedish telecom equipment maker Ericsson, as per Supreme Court orders. The share opened 0.40 points up from the previous close of Rs 4, achieving its biggest gain since February 26. After rising by its daily maximum limit of 10 per cent and hitting upper circuit, RCom today ranked top in the BSE gainer's list and also among the top gainers in BSE 500 index. The stock has had a trend reversal after 9 days of consecutive fall. As per the filing dated March 18, 2019, Rcom spokesperson quoted, "The requisite payment of Rs. 550 crore and interest thereon to Ericsson has been completed today in compliance of the judgment of the Hon'ble Supreme Court." The filing on BSE further added quoting Mr. Anil Ambani, Chairman, RCOM, said "My sincere and heartfelt thanks to my respected elder brother, Mukesh, and Nita, for standing by me during these trying times, and demonstrating the importance of staying true to our strong family values by extending this timely support. I and my family are grateful we have moved beyond the past, and are deeply grateful and touched with this gesture." Yesterday, the company also filed to the exchanges that Reliance Communications and Reliance Jio Infocomm are terminating asset sale agreements with mutual consent. RCom had earlier signed agreements to sell spectrum, fibre assets and telecom towers to RJio. The statement read, "The agreements dated 28th December 2017 and 11th August 2018 entered into between RCOM, RTL, RITL (RCOM Group) and RJIL respectively for sale of certain specified telecom assets have been terminated today by mutual agreement". The company mentioned multiple reasons for cancellation of the deal including "non-receipt of consents/objections from RCom's over 40 foreign and Indian lenders in relation to the proposed transactions" and "non-receipt of requisite permissions and approvals from the Department of Telecommunications (DoT)". The next date of hearing in this matter is fixed on 8th April 2019. There has been a definitive volume spurt in the Reliance Communications share today, that is trading at a volume of 254.55 lakh in Bombay Stock Exchange and 853.12 lakh in National Stock Exchange. The share of Reliance Communications has fallen 80 per cent in one-year term from Rs 23 to Rs 4.